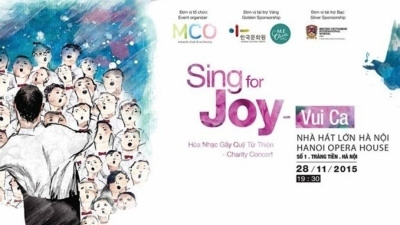 A special concert entitled ‘Vui Ca - Sing for Joy’ is scheduled to take place at Hanoi Opera House at 19.30 on November 28. 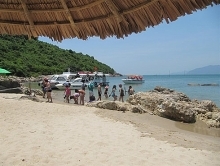 All proceeds from the concert will be donated to the Miracle Choir & Orchestra, a project on free music education for children living in difficult circumstances in Hanoi. The concert brings together 150 artists from 15 countries in the world. It will feature performances by experienced choirs including the International Choir, Hanoi Freude Choir, Hanoi Korean Woman’s Choir, and the Youth Choral of Vietnam. 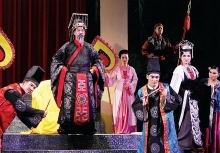 The highlight of the concert will be the participation of Conductor Koo Chun from the National Chorus of Korea, and Crossover Soprano Lim Ji Eun. With the message ‘Beauty through Harmony’, the concert is expected to show audiences the beauty of music, in which harmony is created by different notes, and different instruments and voices in an orchestra and choir. Likewise, the beauty of life can be shown through harmony with oneself, which is the ability to love, listen and respect. Looking further, it is the harmony between two people, and between an inpidual and the world, nature, society and culture./.